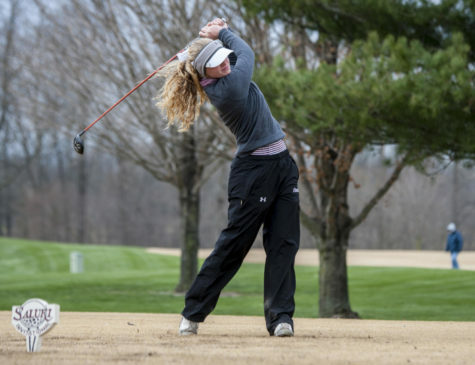 When the weather outside is frightful, the Saluki golf teams still train to make sure their play is delightful. 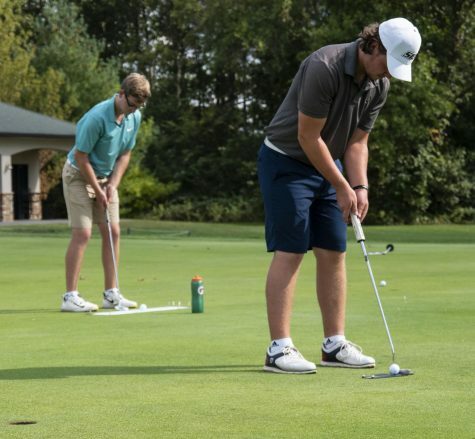 Since the beginning of the semester, the weather hasn’t given the golf teams many chances to get outside and practice their trade. 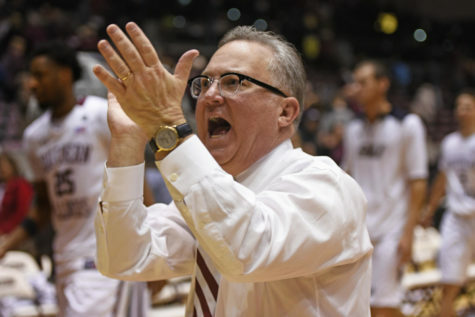 As Division I athletes, the players do not have the luxury of taking time off because of poor playing conditions, which means the Salukis have to compromise. 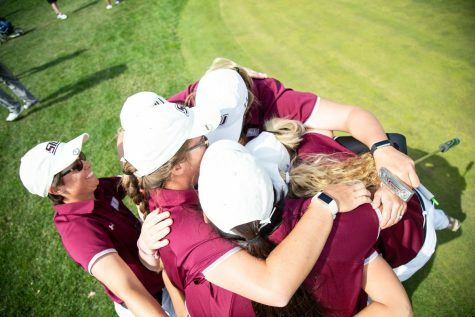 For more than a month, the Salukis have been confined to the women’s indoor training grounds of the Diane Daugherty Golf Facility. 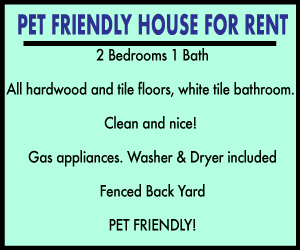 The facility is a shed with three garage doors located at Hickory Ridge Golf Course. 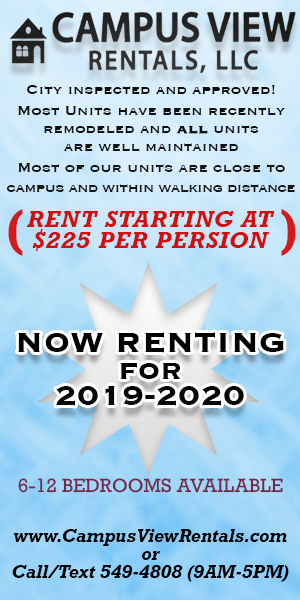 This facility has been the team’s temporary home for most of the past month since Hickory Ridge, the team’s home course, has been unplayable. The women understand the importance of practice and knew the men’s team was also facing problems because of the inclement weather. 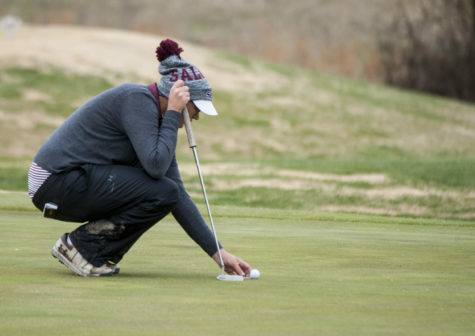 In true Saluki spirit, the women opened their doors for the men’s team to hold warm-up sessions before their first tournament last week. 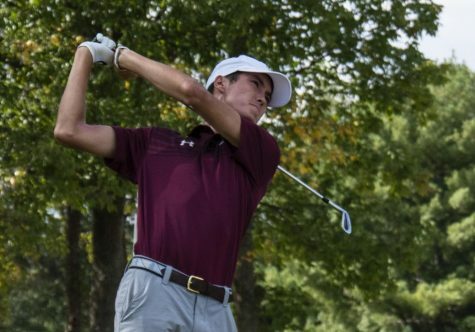 Sophomore Drew Novara tied for second in a field of 84 players at the men’s first tournament, the Frito Lay/Taco Bell Invitational earlier this week. Novara said the team was gracious for being able to use the facility. Inside of the facility the ground is covered in AstroTurf and there are three holes in the floor arranged into a triangle for the players to practice putting. To the left of those are two practice tees like one would see at a driving range that players hit balls into a net off of. The garage doors can also be opened so the team can practice with their drivers. Freshman Brooke Cusumano said there are some disadvantages that come a long with practicing inside. 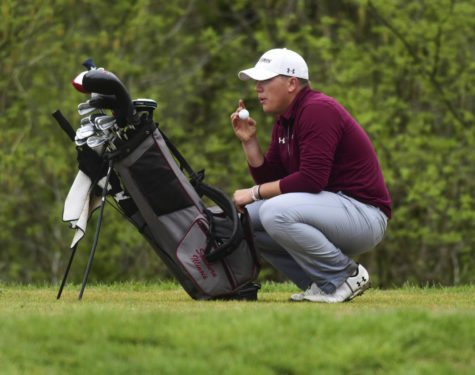 Senior Caleb Harms placed second in the season opener and said practicing inside helps but it doesn’t give the same assurance practicing outside does. 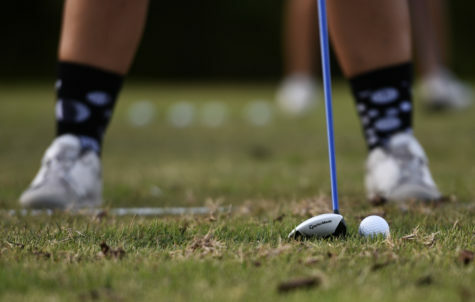 Men’s coach Leroy Newton said short game aspects, such as chipping, are among things which are better practiced outside. In the tournament, chipping hurt the men’s team. Novara was tied for the lead after day one because he avoided using his wedges. Day two brought more chipping situations and Novara said he should have utilized the net inside the shed to practice chipping. While practicing inside has its downsides, Women’s coach Alexis Mihelich, said there are plenty of positives to take from the experience. 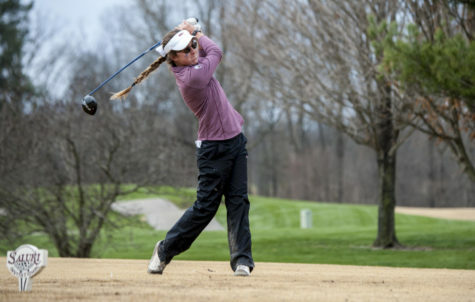 The way the teams train may come as a surprise to the casual golf fan. Scattered all around the shed are different tools players can use to help them strengthen and develop better mechanics with their swings. Newton said rhythm was the most important aspect for the men’s team when working in the shed. He said the tools are valuable but just hitting a golf ball is good for players. The women’s team takes full advantage of all the devices available. There is one training aid Cusumano said she wears every time she practices. One tool the players use is a plastic right triangle on an arm band which helps the player keep their arm in the correct place during a backswing. Each women’s golf practice starts with a warm-up. 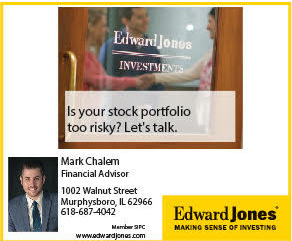 Warm-ups consist of 25 repetitions with the different tools around the room. The first thing players do for warm-ups is swing the ‘swing fan.’ The swing fan is the shaft of a golf club with four white plastic flaps attached to the bottom of it. When the player swings the club it catches the air around it to create resistance when the player swings and helps them build strength. After the orange ball, the player swings a weighted club 25 times and hits an impact bag, a small stuffed bag, with a golf club 25 times. These exercises are meant to help the player strengthen their swing. 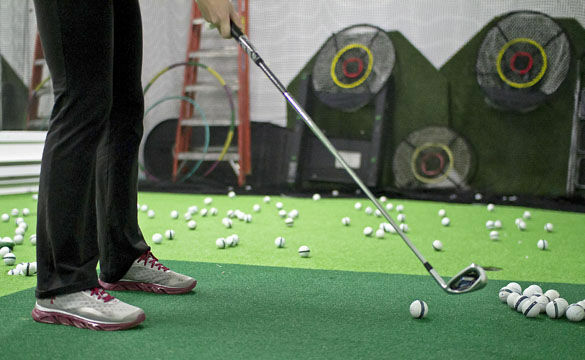 After warm-ups, players on the women’s golf team perform different exercises when they are stuck inside. Some activities are just hitting a ball into a net repetitively to work on their swing or putting into any one of the holes in the around the Diane Daugherty Golf Facility. The ‘mousetrap’ is a tool to help the team with their putting. The gadget is not much larger than a shoebox and has two small holes at each end. Players must putt the ball out from inside the mousetrap through one of the small holes. Cusumano said the mousetrap was her least favorite training aid. Newton said the putting devices have been useful. 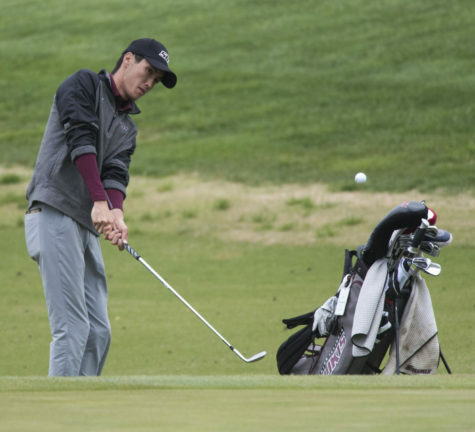 Freshman Xianmei Jin said the time the Salukis spend training inside is similar to the way professional golfers train during the winter when the weather does not permit them to play on a course. “The good thing for us is we can fix our swing during the winter. Usually, PGA players during the winter work out inside and fix their swing,” Jin said. Newton said that the time spent inside definitely helped the men but also said that they do not always take advantage of the shed. Cusumano said she also prefers practicing outside but she has become technically better thanks to the time they spend at the indoor facility. The women’s team will open their spring season Monday at the South Alabama Invitational in Mobile, Ala. The men have a week off before they head to Hoover, Ala., for the Samford Intercollegiate Tournament March 3.